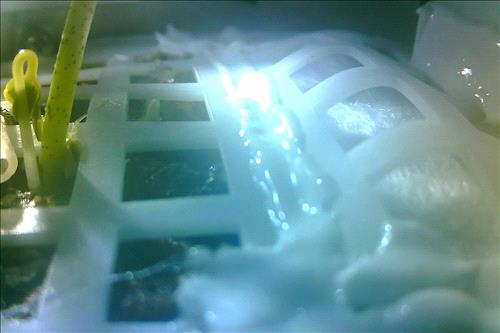 AMMONNEWS - A small green shoot is growing on the moon in an out-of-this-world first after a cotton seed germinated on board a Chinese lunar lander, scientists said Tuesday. The Chang’e-4 probe -- named after a Chinese moon goddess -- made the world’s first soft landing on the moon’s “dark side” on January 3, a major step in China’s ambitions to become a space superpower. Scientists from Chongqing University -- who designed the “mini lunar biosphere” experiment -- sent an 18-centimetre (seven-inch) bucket-like container holding air, water and soil. Inside are cotton, potato, and arabidopsis seeds -- a plant of the mustard family -- as well as fruit fly eggs and yeast.